In our previous GCE blog post, we described the need for quality pre-primary/early childhood education in rural Nepal, and what Educate the Children (ETC) has done in years past to help ensure that more children can and do receive quality early education – giving them a better chance to succeed in later grades, and to earn more money and live healthier lives as adults. In this blog post, I’d like to share with you some related information about our very recent activities. ETC works intensively in a specific geographic area for a period of several years, and in mid-2014 we began working in a new area. We have identified and begun working collaboratively with the personnel at 31 public schools, all of which will receive various types of support in the years to come. The good news is that 17 of those 31 schools already have pre-primary classes! This indicates a certain important level of existing community commitment to early education, and it means we don’t have to start completely from scratch, as we have often done elsewhere. However, the teachers and administrators at these schools are eager to benefit from ETC’s help and support, to improve the physical classroom environment and the overall quality of education. We started by providing some basic classroom materials (wooden puzzles, alphabet and number blocks, and crayons/colored pencils/paper) to all 17 pre-primary classrooms. The photo of the all-brown room shows the condition earlier in 2014 of the pre-primary classroom at Janjyoti Higher Secondary School, Lapilang Village Development Committee, Dolakha District. You can see that the teacher has almost nothing to work with in the way of teaching materials; there is no furniture; and in general the room appears uninspiring and uncomfortable at best. No child can learn properly, nor can a teacher work most effectively, in such an environment. The photo of the brown and gray room (see below) was taken earlier in 2014 at the pre-primary classroom at Gujarpa Lower Secondary School, also in Lapilang Village Development Committee, Dolakha District. This classroom is in slightly better condition than the one at Janjyoti School – it has some area rugs, seating cushions, and charts on the wall – but there is still plenty to be done before it can be a truly welcoming and enriching environment. Classrooms like these will be among the first to receive ETC’s support this year for plastering and painting of the walls and floor; provision of furniture, carpeting, and floor cushions; and provision of useful classroom materials such as a white board. Some of the most important work that ETC does is not easy to show in photographs. Early education teachers at rural schools are often young and inexperienced women who have only the minimum of training. While they may technically be qualified to teach, in reality most have never had the opportunity to learn important best practices for working with young children. ETC provides ongoing training on topics such as lesson planning, classroom management, and creating classroom materials from available resources. Through the early childhood education professional network, teachers can learn from peers’ experiences and share their own successes and challenges. All of these activities are free of charge for these teachers, who would otherwise have no access to useful and important professional development opportunities. Based on past experience, we are confident that these efforts will lead to higher enrollment, lower absenteeism and drop-out rates, greater teacher job satisfaction and efficacy, and a better overall quality of education for young children in these villages! 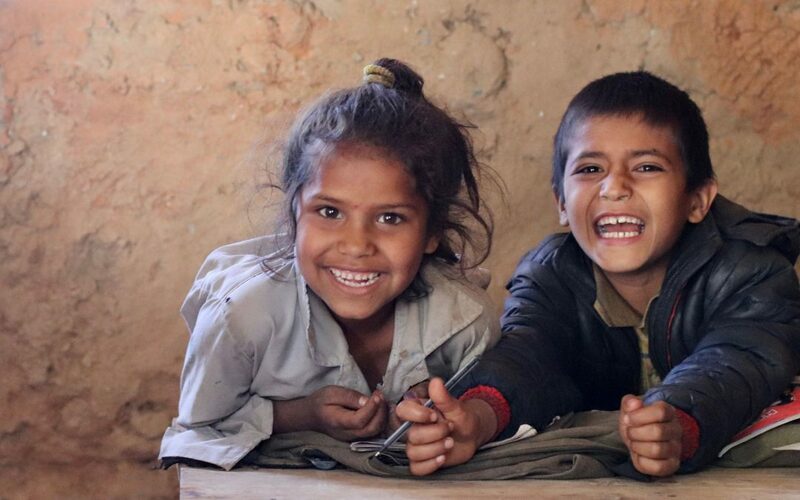 Educate the Children’s mission is to work with women and children in Nepal to improve health, welfare, and self-sufficiency by building skills that families can pass down to later generations. Through our children’s education, women’s empowerment, and sustainable agriculture programs, we provide training and resources to help thousands of marginalized and impoverished people make better lives for themselves. For more information about ETC’s education work, please visit our photo essay by clicking here. Nepal: how best to enhance the quality of education?